POWER PACKAGE, BLUETOOTH MP3, SOUND SYSTEM SIRIUS XM SATELLITE RADIO, REMAINDER OF FACTORY WARRANTY, PREMIUM WHEELS, Acousstical Package, Alloy Wheel, Aluminum Wheel, Ambient Light Package, Appearance Package, Audio Package, 17" x 7" Aluminum Wheels, 1-Year SIRIUSXM Radio Service, 3.73 Axle Ratio, 4-Wheel Disc Brakes, 6 Speakers, ABS brakes, Active Grille Shutters, Air Conditioning, AM/FM radio, Anti-whiplash front head restraints, Auxiliary Transmission Oil Cooler, Brake assist, Bumpers: body-color, Compass, Delay-off headlights, Driver door bin, Driver vanity mirror, Dual front impact airbags, Dual front side impact airbags, Electronic Stability Control, Engine Oil Cooler, For More Info Call 800-643-2112, Four wheel independent suspension, Front anti-roll bar, Front Bucket Seats, Front Center Armrest, Front fog lights, Front reading lights, Fully automatic headlights, Illuminated entry, Integrated Voice Command w/Bluetooth, Knee airbag, Low tire pressure warning, No Satellite Coverage w/AK/HI, Normal Duty Suspension, Occupant sensing airbag, Outside temperature display, Overhead airbag, Overhead console, Panic alarm, Passenger door bin, Passenger vanity mirror, Power door mirrors, Power steering, Power windows, Premium Cloth Bucket Seats, Quick Order Package 21J, Radio data system, Radio: Uconnect 5.0, Rear anti-roll bar, Rear reading lights, Rear seat center armrest, Rear side impact airbag, Rear window defroster, Rear window wiper, Remote keyless entry, Roof rack: rails only, SIRIUSXM Satellite Radio, Speed control, Speed-sensing steering, Split folding rear seat, Spoiler, Steering wheel mounted audio controls, Tachometer, Telescoping steering wheel, Tilt steering wheel, Traction control, Trip computer, Variably intermittent wipers, Voltmeter. CARFAX One-Owner. 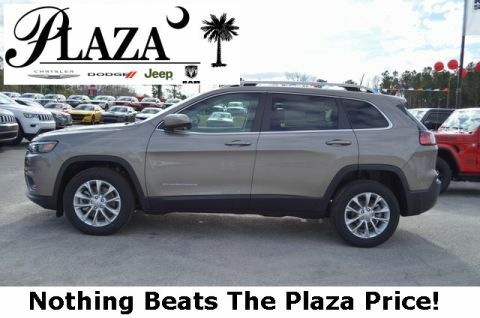 Plaza Chrysler Dodge Jeep Ram of Orangeburg is delighted to offer this outstanding-looking 2016 Jeep Cherokee Latitude In granite crystal metallic clearcoat. 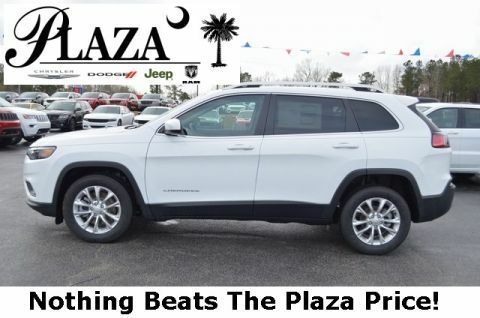 This vehicle is beautifully equipped with Quick Order Package 21J, 17" x 7" Aluminum Wheels, 1-Year SIRIUSXM Radio Service, 3.73 Axle Ratio, 4-Wheel Disc Brakes, 6 Speakers, ABS brakes, Active Grille Shutters, Air Conditioning, AM/FM radio, Anti-whiplash front head restraints, Auxiliary Transmission Oil Cooler, Brake assist, Bumpers: body-color, Compass, Delay-off headlights, Driver door bin, Driver vanity mirror, Dual front impact airbags, Dual front side impact airbags, Electronic Stability Control, Engine Oil Cooler, For More Info Call 800-643-2112, Four wheel independent suspension, Front anti-roll bar, Front Bucket Seats, Front Center Armrest, Front fog lights, Front reading lights, Fully automatic headlights, Illuminated entry, Integrated Voice Command w/Bluetooth, Knee airbag, Low tire pressure warning, No Satellite Coverage w/AK/HI, Normal Duty Suspension, Occupant sensing airbag, Outside temperature display, Overhead airbag, Overhead console, Panic alarm, Passenger door bin, Passenger vanity mirror, Power door mirrors, Power steering, Power windows, Premium Cloth Bucket Seats, Radio data system, Radio: Uconnect 5.0, Rear anti-roll bar, Rear reading lights, Rear seat center armrest, Rear side impact airbag, Rear window defroster, Rear window wiper, Remote keyless entry, Roof rack: rails only, SIRIUSXM Satellite Radio, Speed control, Speed-sensing steering, Split folding rear seat, Spoiler, Steering wheel mounted audio controls, Tachometer, Telescoping steering wheel, Tilt steering wheel, Traction control, Trip computer, Variably intermittent wipers, and Voltmeter! 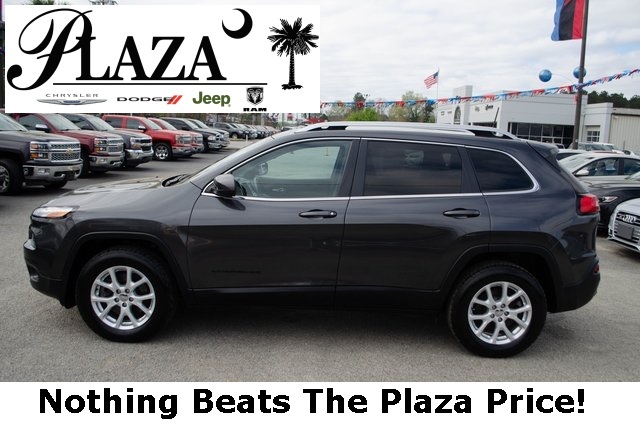 Why Choose Plaza Chrysler Dodge Jeep Ram of Orangeburg? We have a skilled and knowledgeable sales staff with many years of experience satisfying our customers’ needs. 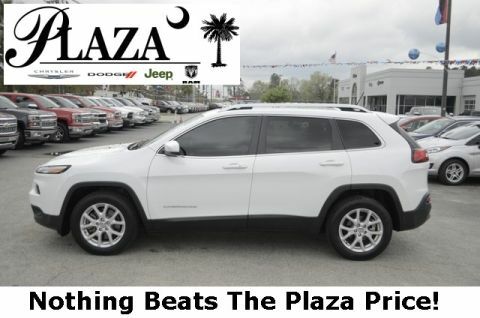 Our goal is to provide all customers with an attentive, quick, and pleasurable buying experience.